This free open-source browser is designed for parents who care what there children are finding on the internet. 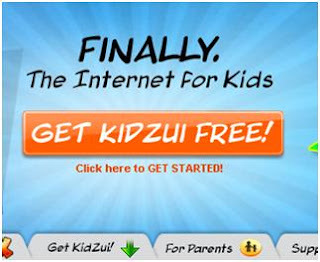 Kidzui has a number of the new Web 2.0 applications like; youtube, social networking, and on-line gaming. However, the entire browser is pre-filtered and only allows child friendly material. Your child will recieve an avatar, digital cartoon image, as the first step to ensuring digital safety. They can change this image at anytime and add to it as well. As is the case with any open-source, you may purchase more abilities. Those abilities will give you printable reports on where you child has been, how long and more. Check out this incredible idea of a browser.